Every so often, something pretty rad happens, and that radness totally happened on August 12, 2017. With interactive social media, mini summer events leading up to the big day, and engaging new concepts, Town Center of Virginia Beach transformed into a wedding wonderland throughout shops and restaurants alongside other incredible local wedding pros that we are proud to call Tidewater and Tulle Vendor Fam for the first annual Love It Up: A Wedding Experience. We were so honored to have partnered with Town Center to bring a unique event to southeastern Virginia that was inclusive of all folks tying the knot. We passionately believe it's not a bridal world, but a wedding one, and Town Center shares the same heart, so it was a matchmade in community heaven for us to tie the knot to make this event happen. 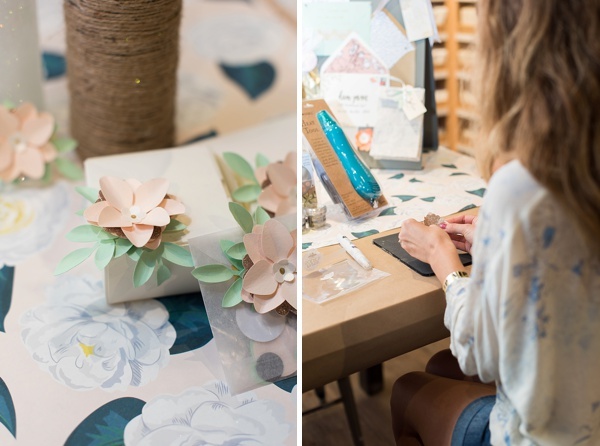 The diverse inspiration all throughout styled designs by local wedding pros and in-store setups were nothing short of thoughtful and innovative, so today, we're sharing our favorite seven steal-worthy ideas for your big day! Think outside the wedding box when it comes to your wedding teams. Of course, you'll need a photographer, florist, catering, and so forth, but truly make your special day unique by also bringing in professionals that might not be traditional wedding industry pros like hiring a gelato cart from Confetti for a late night snack, Ruth's Chris Steak House for a rehearsal dinner, or Gordon Biersch for special wedding day growlers. Personalize your guest experience and share more of who you two are as a couple with things that you love outside of your wedding day! 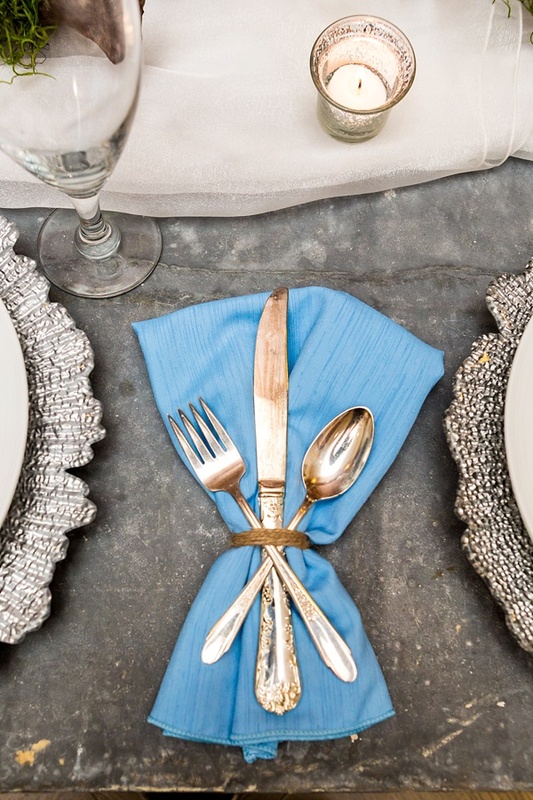 As we see in everyday fashion, the concept of mixing materials is happening in the wedding world, too! Reception centerpieces continue to take on different heights and colors, but are being paired with refined textures and classic pieces. Tables are blended slate with wood, and metal meets marble in the most beautiful ways. We were inspired by many of West Elm's various tablescape setups pairing wood and ceramic. 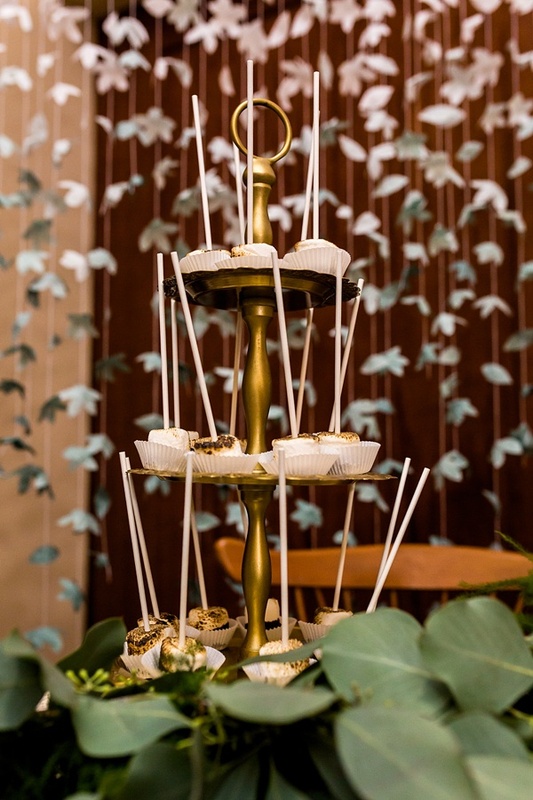 Sky's the limit when it comes to wedding themes! Transforming your wedding venue into your theme or color scheme is everything when it comes to showing your guests what you and your sweetie are all about. Love Christmas? Bring on the twinkly lights! Love a good retro party? Hang some disco balls and strobe lights. Prefer a breezy coastal feel? Consider driftwood signage. Adore a garden romance? Think about having a custom fluttering paper flower backdrop for your photo booth or sweetheart table. Whatever it is, it's all about the ambiance through visuals, music, and lighting! Everything's more delicious in fun size, and it's the same way with weddings! 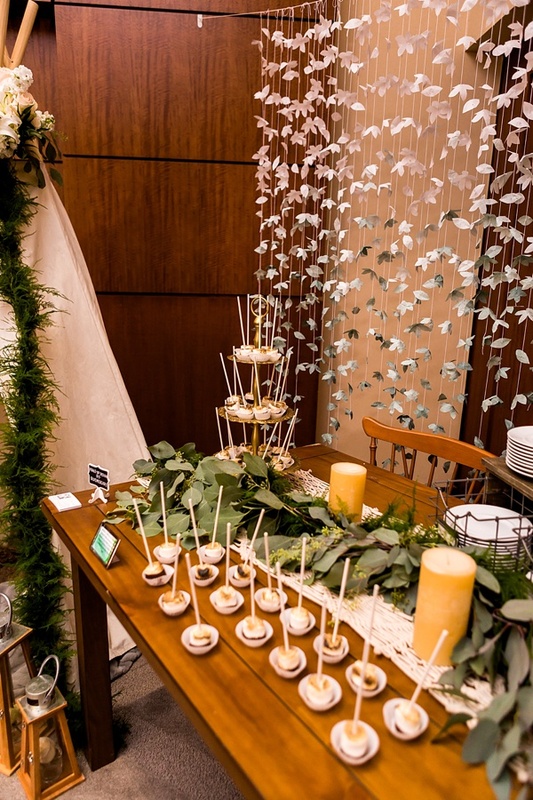 Mini sweets and treats have been trending in the wedding world for a couple of years now with no sign of stopping for their popularity. 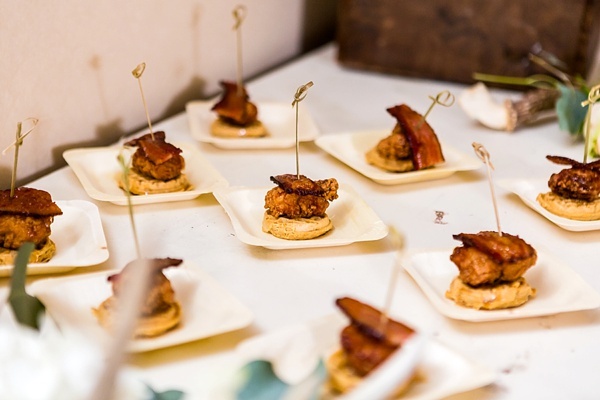 Between tiny chicken and waffles, deconstructed s'more sticks, or crab cakes, you can offer your wedding guests a smorgasbord of your and your partner's tastes through bite-sized yummies all throughout the big day: pre-ceremony refreshments, cocktail hour, reception, or late night. Food brings people together, and we love it! It's no secret that we're huge animal lovers around here, so of course, we think everyone should involve their furbabies in the special day in some way. Whether it's having them walk you down the aisle or it's a sweet framed photo for those more shy pets who aren't there in person (like those precious kitties! ), there are wonderful ideas to incorporate your four-legged friends. We especially love custom outfits and collars like we saw at Mrs. Bones Bowtique. 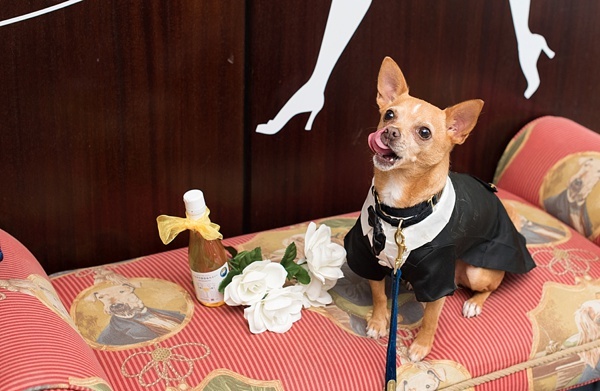 If everyone else is dressed up, then why not the furry VIPs? More and more couples are placing more importance on the experience of the wedding day. 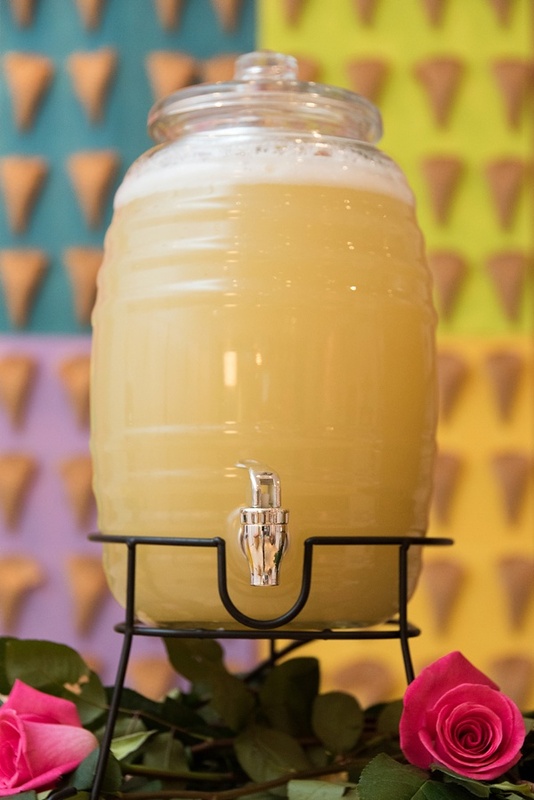 By providing innovative food stations, hiring unique bands, making fun lawn games, or sharing different entertainment ideas, wedding days aren't just about dancing on the dance floor anymore. 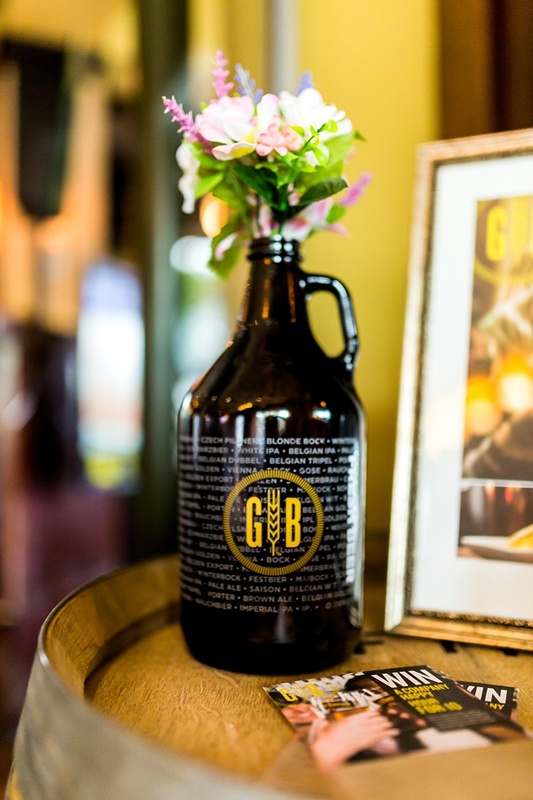 Brides and grooms are wanting to take the celebration to the next level. 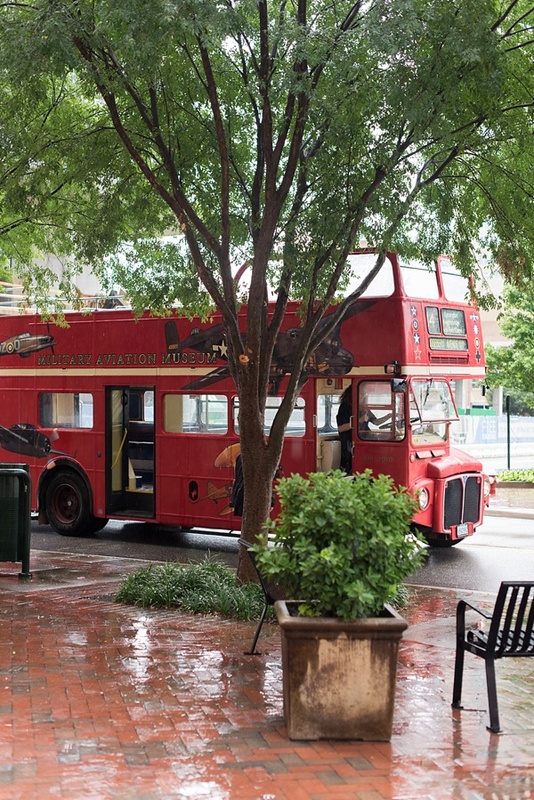 We loved the creative ideas many of the Town Center of Virginia Beach shops set up such as DIY flower crown stations, chocolate fountains, and even cool transportation like a double decker bus to tote attendees around. Want to see more of Love It Up? Be sure to stay tuned to Facebook and Instagram this week as we share even more favorites. And see you in 2018 for the 2nd Annual Love It Up Wedding Event!